One of the main benefits of the American Express Qantas Ultimate card – apart from the 75,000 bonus Qantas Points on offer until 1st May 2017 – is a free Qantas return flight within Australia each year. 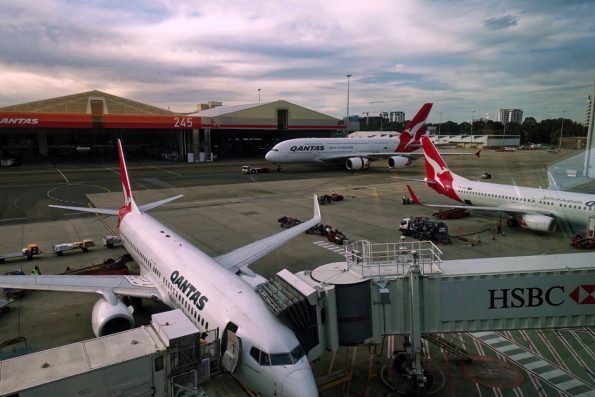 As an Amex Qantas Ultimate cardholder, you are eligible to claim a free Qantas domestic return flight in Economy Class between a range of Australian capital cities for each year you have the card. 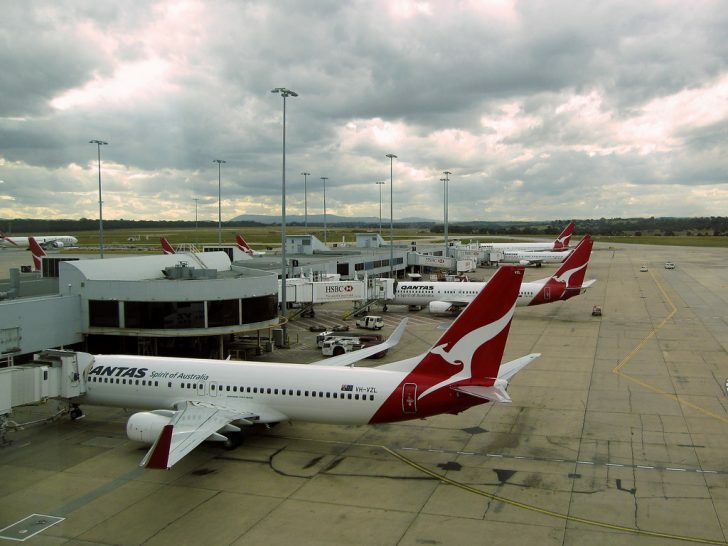 Do note that no Qantas Points or Status Credits are awarded on the free flights, and they cannot be upgraded to Business Class with points you may have. So, you must first purchase a Qantas flight or purchase a Qantas Frequent Flyer or Qantas Club membership before you can use your free flight benefit. You’ll get one free return flight each year that you hold the card. That year is not determined by the calendar year (e.g. 2017), but rather by your cardholder year, which commences on the date you open your account (e.g. December 2016 to November 2017). You have to book, but not take, your flight before your second anniversary. That means that if you get this card in December 2016, you could make a booking for yourself in November 2017 for a trip in March 2018, and then use your second year’s benefit which comes in December 2017 to book another seat on the same flights in March 2018 for a travel companion. As per the card’s PDS, you do have to make a Qantas purchase each year before this benefit is unlocked. Plus, you’ll get 2,500 bonus points for that first Qantas purchase anyway. NOTE: The Qantas travel credit will officially ‘replace’ this benefit from 31 October 2017 but cardholders have until 30 April 2018 to use either one (but not both). Who can get the free flight? You can use this benefit to book a flight for yourself or anyone else (except an unaccompanied minor). Being able to book the flight in someone else’s name gives you more options to make use of this benefit. Why is this benefit (and card) a good deal? A free return Qantas flight is just one of the benefits of this premium card, helping offset its $450 annual fee. I looked at the price of a return Economy Class ticket on Qantas for a week in February 2017 departing and arriving back on a Tuesday between the city pairs permitted for booking using this benefit. 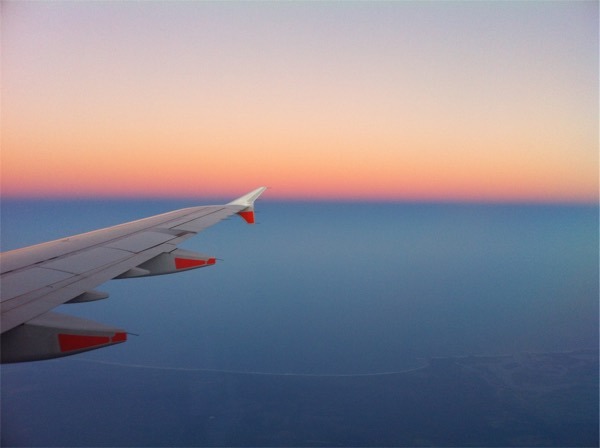 So, hypothetically, if you lived in Melbourne and needed to do one return trip to each of the three cities on this list – Sydney, Brisbane and Adelaide – you would get the most value from using your free flight to go to Brisbane as it has the most expensive cash fares, followed by Sydney, and Adelaide as the cheapest destination. Availability when using the complimentary flight can be limited though, so don’t rely on it being usable for your one key trip every year – it’s best considered as an added extra for those who have to book a few domestic flights each year and can plan ahead to use the free return flight in advance. A second way you can maximise your benefit is if a friend or family member is looking to book a return domestic flight with Qantas with cash anyway, you could use your free flight benefit to book it for them and then get them to pay you the cash. Finally, you may need to travel last-minute to one of these cities in the next year, so you could hold onto your free flight benefit rather than having to fork out money for an expensive cash fare. Just note that there is no guarantee you will be able to find last-minute availability for this benefit, so there is an inherent risk there. How do I book my free flight? You need to book this flight through American Express, not through the Qantas website or by calling Qantas. You can call American Express on 1800 507 104 (or +61 2 9271 4498 from overseas) between 9am and 6pm Monday to Friday AEST. In terms of changes, once the flight has been booked, you cannot change the route, however, date and time changes are permitted for a $38.50 fee + fare difference between the value of the original flight and the new flight. 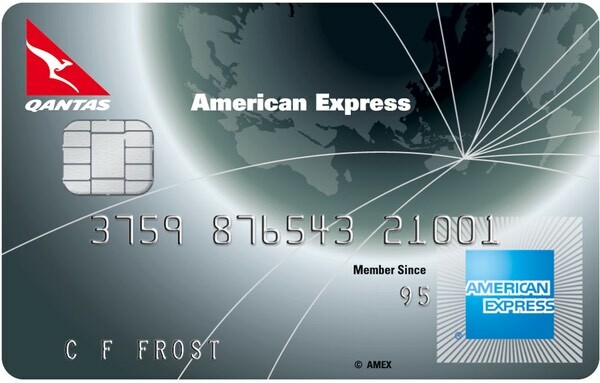 The Qantas free flight benefit that comes with the American Express Qantas Ultimate card helps offset its annual fee, in addition to the 100,000 bonus sign-up points offered until 2nd October. The best-value uses of this benefit come from using it on routes which are relatively more expensive. Remember, the Qantas travel credit will officially ‘replace’ this benefit from 31 October 2017. After a supposedly eligible purchase (thru the ‘Qantas cheap purchase’ method), how do I know if I have become eligible for the free flight ? does it show on my account or you must ring Amex? What are the associated fees when claiming the complimentary Qantas domestic flight with amex travel? Is it $6.99 for dometic tickets and then another $25 on top because it has to be by phone? I would give American Express Travel a call. There shouldn’t be a fee for booking with them other than if you change the date/time. So from how I read it, if I want the free return flight instead of the $450 credit (Per-Mel), I must make this booking before 31 Oct 17? I can book any date for the rest of the year, but I must book it before the above date, or I default into the $450 category (which is worth less to me due to the route)? If this is correct, my problem is that I don’t actually know when I will require this flight other than knowing it will be sometime this year. Having read that date/zoomed changes are available for $39, would it be possible to book a far out date that is already at a high price (say Xmas eve), and then if and when I do change the flight, the difference I will have to pay is minimal (or 0)? Please let me know if I have this all correct, cheers! You have that mostly correct. There is actually a grace period during which you can choose between the free flight benefit and the travel credit (until 30 April 2018). Further to Matt’s question: “guide to making a Qantas purchase ‘for cheap’ to qualify for the free flight”, is it known if a Points + Pay transaction in the Qantas Store, is an eligible purchase to satisfy the T&C’s? How do you claim the free flight? Can you accure status credits with these flights? Hello. Just wondering if the guide for making a Qantas purchase each year for cheap has been posted? I just got this card a month ago and so far so good 🙂 the points are converted to flyer points every month and credited immediately. I was surprised how many places do actually accept AMEX and they don’t all charge a surcharge which is good. One downside is that I live in Hobart and the free flight each year is not extended to Tasmania. I haven’t asked them about this yet, it’s on my to do list. Are you sure that a points top-up purchase qualifies? That’s what we’ve heard from one of our readers. Is your guide to making a Qantas purchase “for cheap” to qualify for the free flight far off? What about if you live in Darwin? This benefit doesn’t extend to flights to/from Darwin, unfortunately; just Sydney, Melbourne, Brisbane, Perth, Adelaide and Canberra. So how do you know if flights are available? Just call Amex and ask? Correct! Perhaps doing a search for award seats on the Qantas website will give you some preliminary results, but I’m not sure if that is the determining factor for Amex finding availability for this benefit.